Howdy. Senior Writer Jason Heller here. As previously announced, The A.V. Club’s Science Friction film series is underway, hosted by Alamo Drafthouse Denver and yours truly. So far we’ve shown Videodrome and Dark Star, but we needed to cook up something Halloween-centric for our third selection, which is being shown tonight at 7:30 p.m. So we figured, what could be better than resurrecting that unfairly maligned, 1982 horror/sci-fi thriller, Halloween III: Season Of The Witch? In his rundown of the entire Halloween franchise last year, our own A.A. Dowd called Halloween III “a fascinating oddity.” I’ll go one better and say it’s an overlooked classic, a surreal and bizarre statement about the soul-sucking hollowness of ’80s culture that was doomed from the start thanks to its name. The film was meant to mark a transition for the franchise, away from being a psycho-killer dice-’em-up and toward a more ambitious anthology series. That, um, didn’t happen. The film tanked, in large part because viewers were (and still are) pissed that there’s no Michael Myers in it. 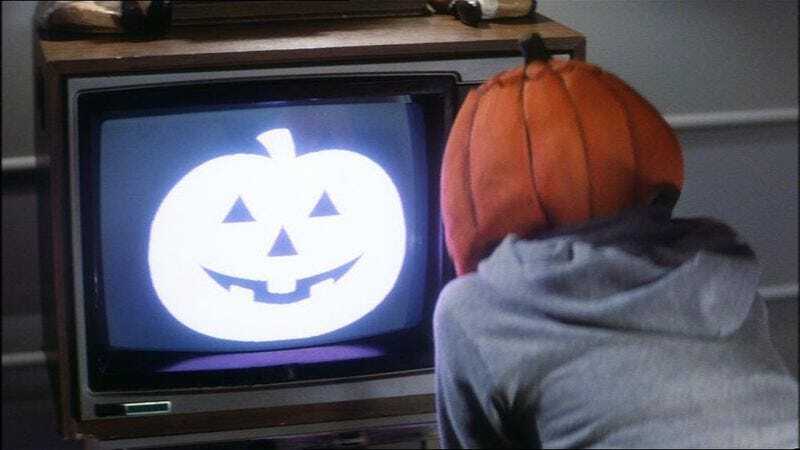 But we’re left with Halloween III, a movie whose horrifying, techno-druid premise is overshadowed only by a certain sinister jingle that runs throughout the movie. If you’ve heard it once, not even a lobotomy will get it out of your head. Tickets for the film can be purchased in advance, and if you’re an Alamo Victory member, there’s a perk: You’ll automatically be entered into a drawing for a copy of the newly reissued Friday The 13th soundtrack on 180-gram vinyl, with extensive liner notes and other bells and whistles. I’ll be there to discuss the film with my co-host, fantasy author and film blogger Jesse Bullington. And on that note… Happy Happy Halloween, Halloween, Halloween!